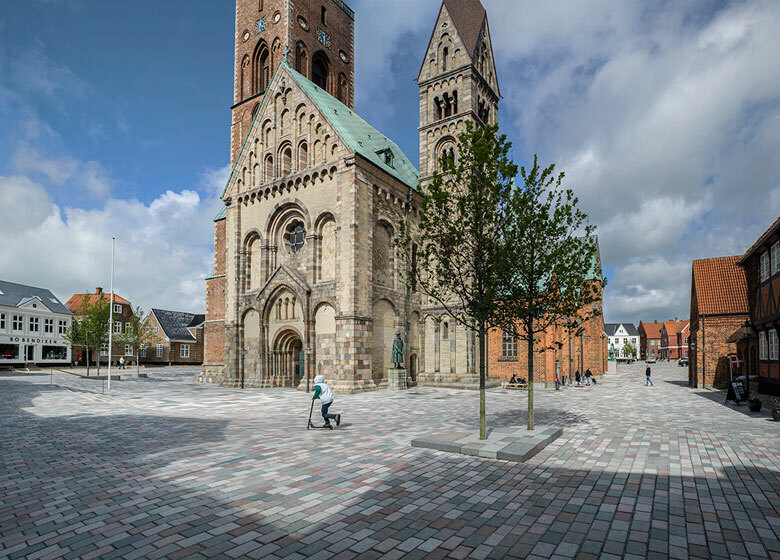 Schonherr: Ribe Cathedral is Denmark’s oldest cathedral in Denmark’s oldest town, and the square in front of the cathedral is a very unique space. 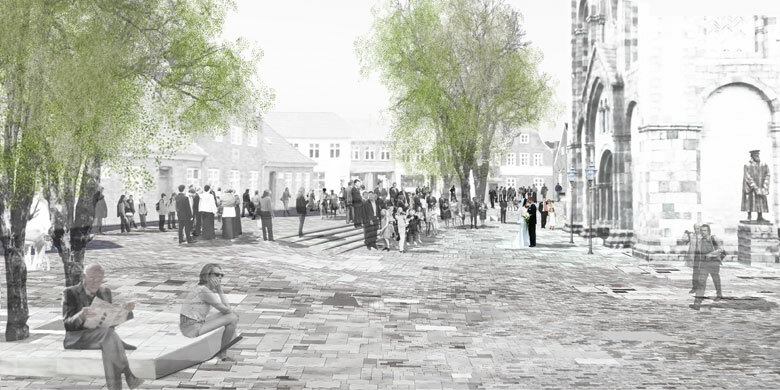 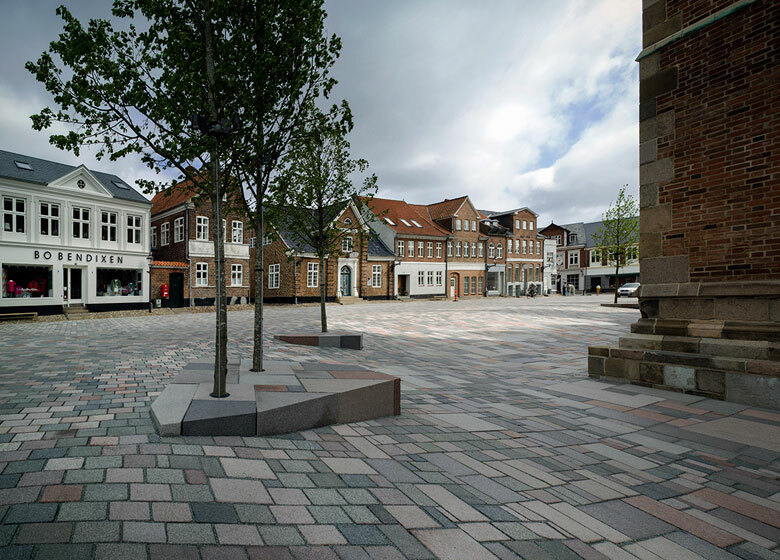 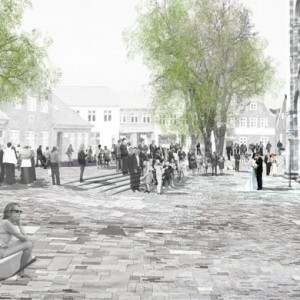 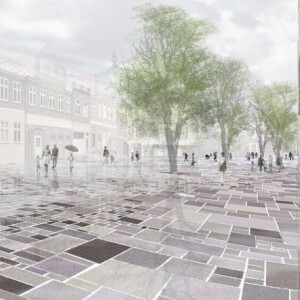 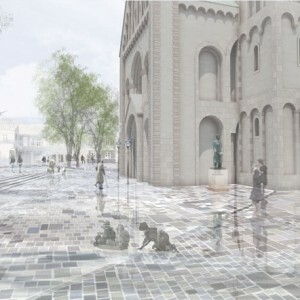 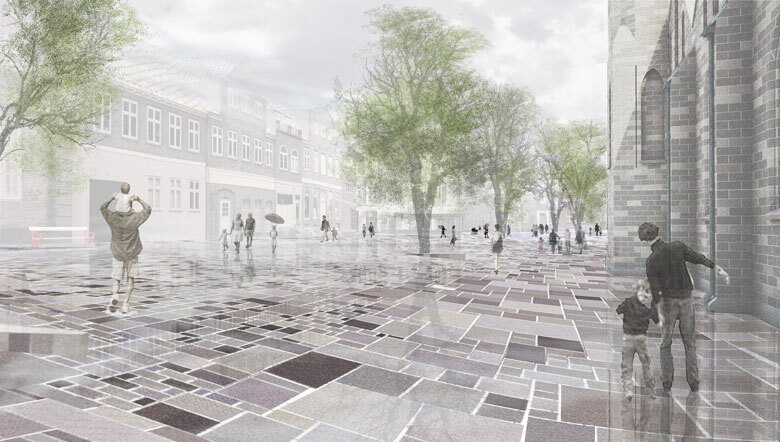 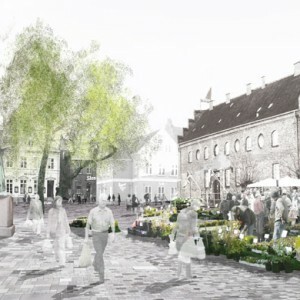 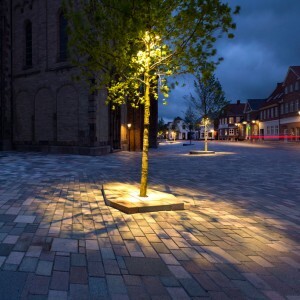 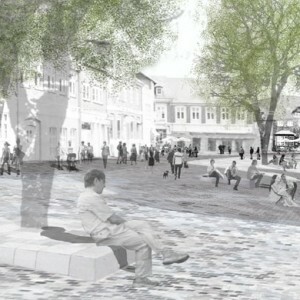 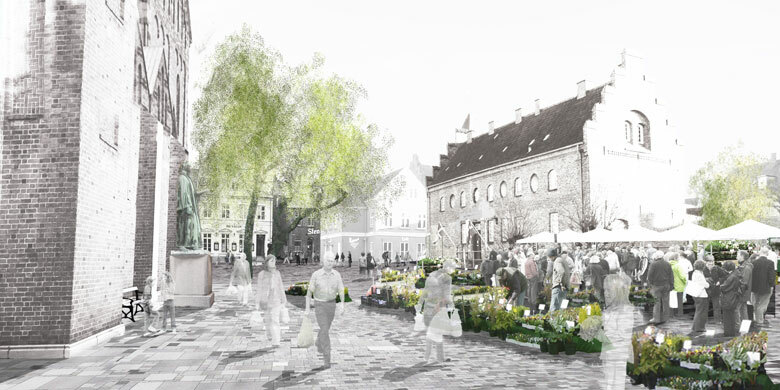 Schonherr has won the competition for a re-fashioning of Ribe Cathedral Square with a clean and strong proposal for a new look. 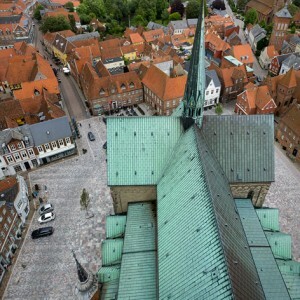 The historical town centre in Ribe, with the cathedral as a monumental midpoint, is among Denmark’s best preserved cultural-historical environments. 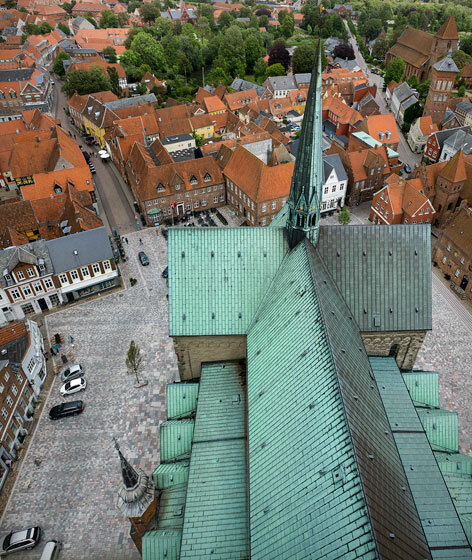 Ribe Cathedral’s location, low in the square, is an ongoing narrative of time and people. 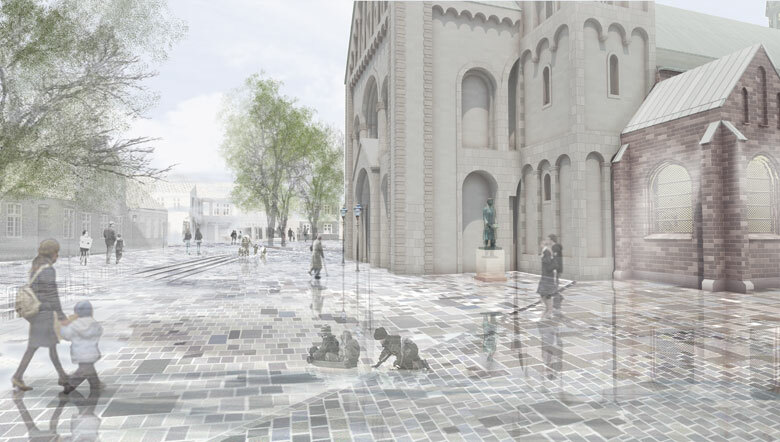 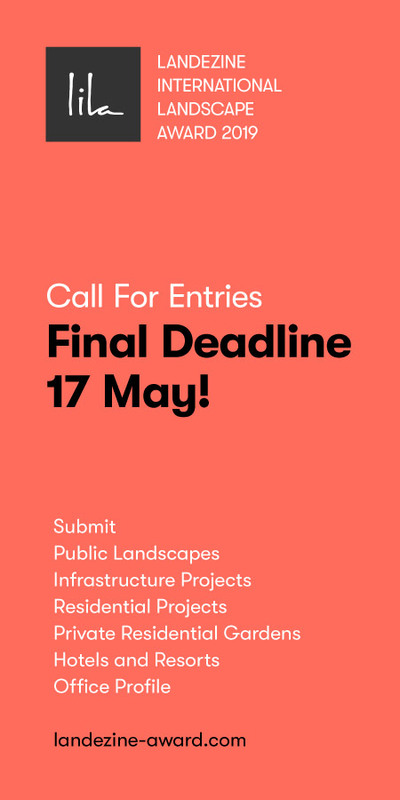 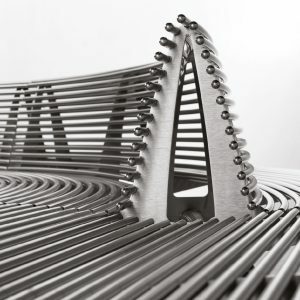 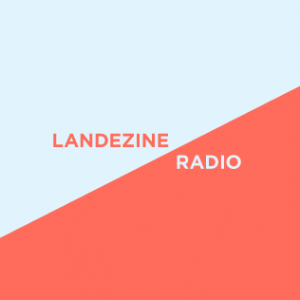 The competition entry communicates and utilizes the cultural layers of history in a way that enables the church and the town to be experienced as a coherent unity. 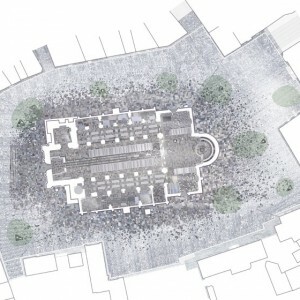 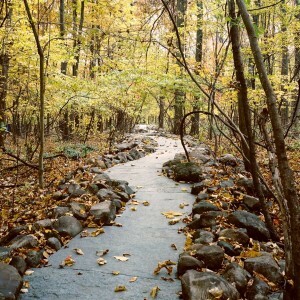 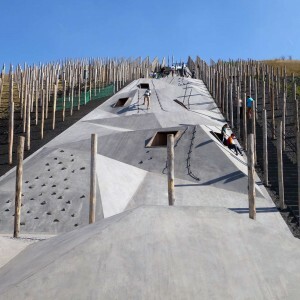 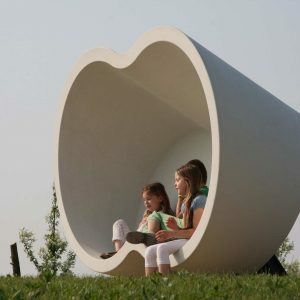 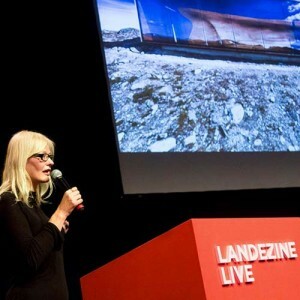 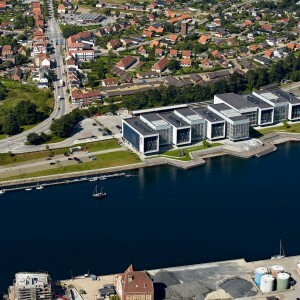 The project’s grasp makes the space immediately available and accessible – shaped as one cohesive plateau. 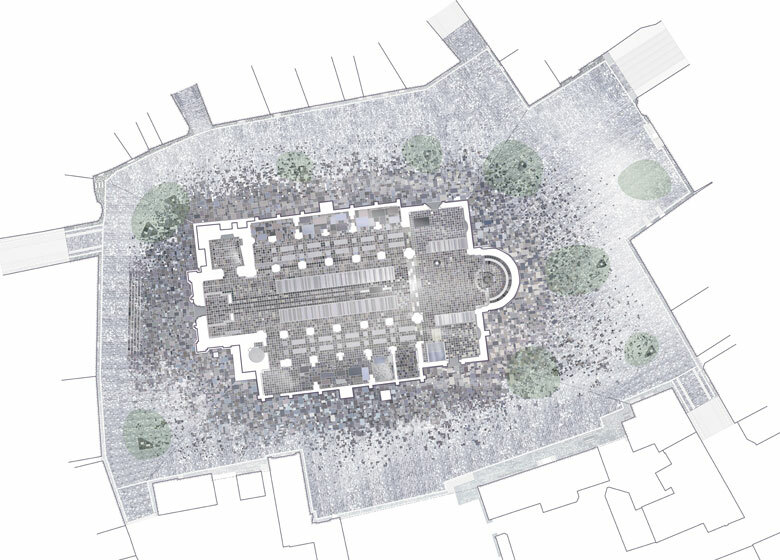 The base of the church becomes visible already before entering the space of the actual square, and thus the church will appear as standing in a square, rather than in a hollow. 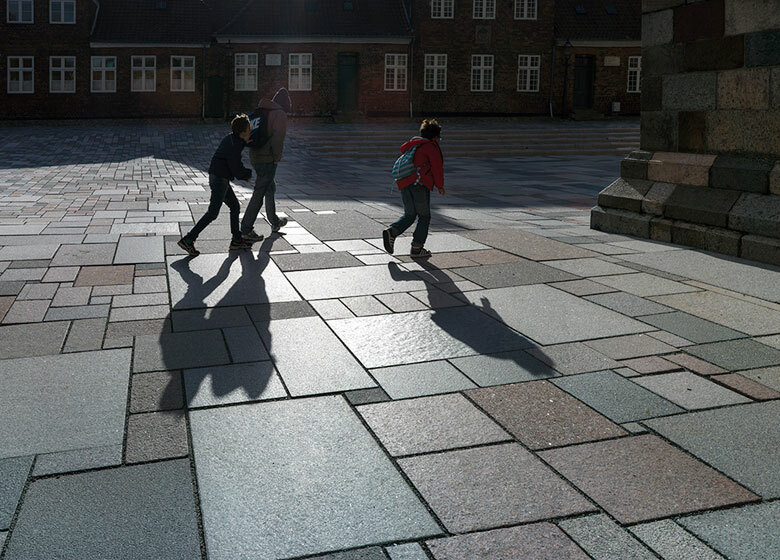 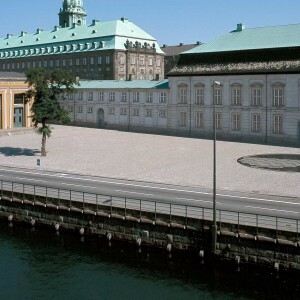 The surface of the square stretches from façade to façade and provides the space with a unique historical identity. 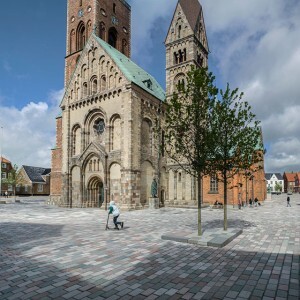 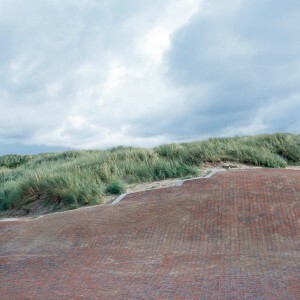 The working of the terrain and the sheer scale of the surface illustrate the historical and present connection between church and town. 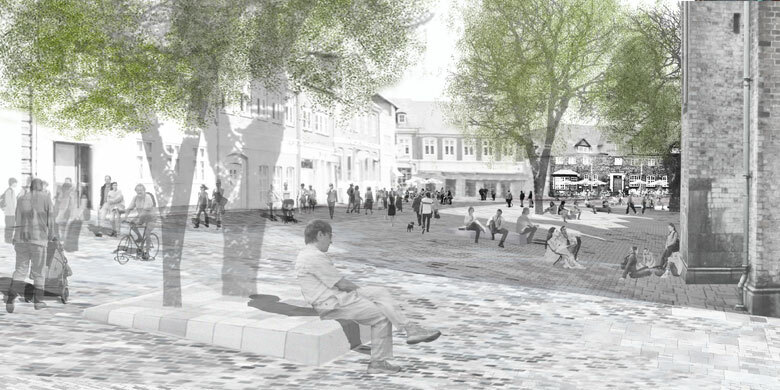 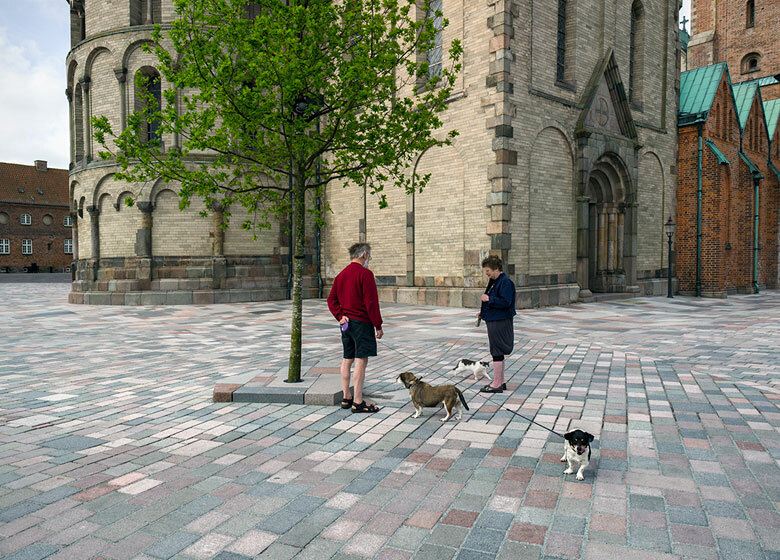 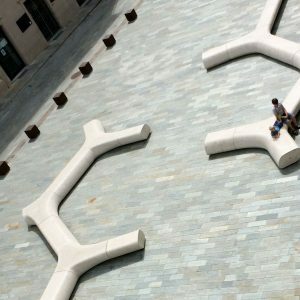 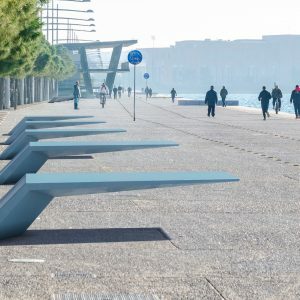 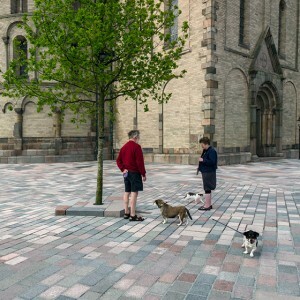 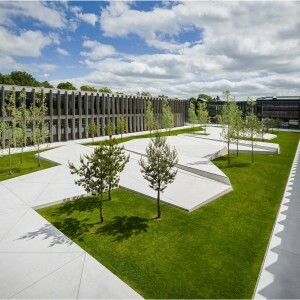 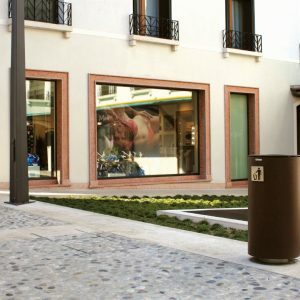 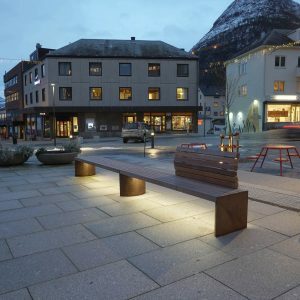 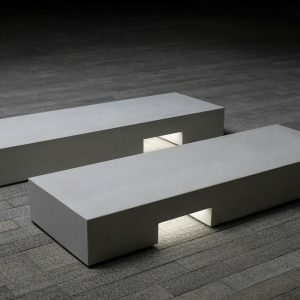 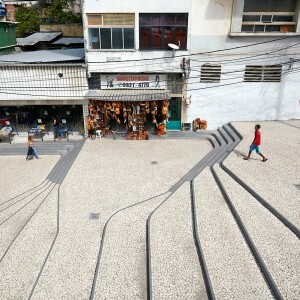 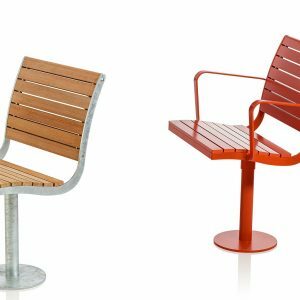 By placing trees on elevated plinths that simultaneously function as seating possibilities, the daily traffic is lead across the square while the square’s unity is not compromised. 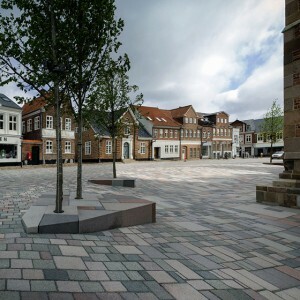 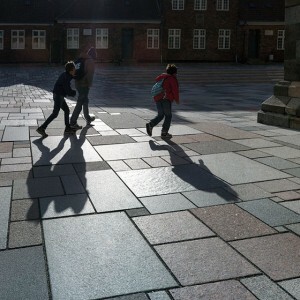 Ribe Cathedral Square is the town’s square and this is where people meet in everyday as well as more festive scenarios. 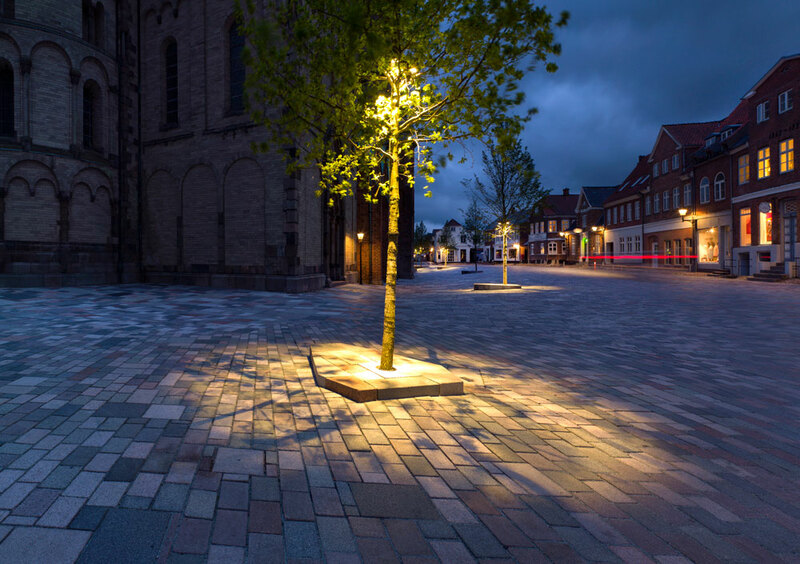 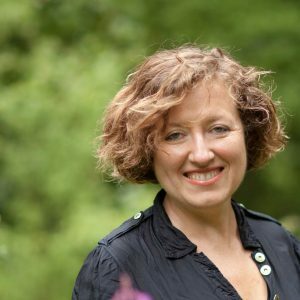 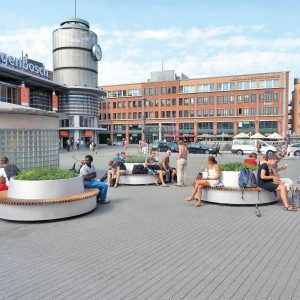 The artistic presentation of the square complies with every kind of experience and event – from bake sales and vegetable markets to tulip day, festival plays, and street theatre.